The Sheriff's Office announced today that Smart911 is now available in San Luis Obispo County. Smart911 is a free service that allows individuals and families to sign up online to provide key information to 9-1-1 dispatchers during an emergency. 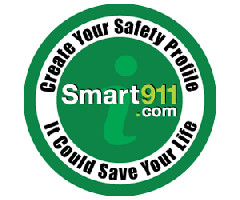 The Arroyo Grande Police Department encourages you to sign up for Smart911 at www.smart911.com. It's fast, it's free and it can help save time and most importantly, save lives.